Henry Brunekreef, head of the Australasian Supply Chain Institute, tells us a few things about what his organisation does, and about why manufacturers’ supply chains need to be flexible enough to suit this era of consumer experience. What is your role and how does it fit into the business/organisation? I specialise in supply chain strategy development, Target Operating Model design and Implementation of Integrated Business Planning. I ultimately help Australian and multi-national companies to adopt transformation change management and better practice business planning and operations management. I have worked across multiple continents, having worked with clients across Europe, South Africa, North America, AsiaPac and Australia. For ASCI, as President and Chair of the board of directors, I am responsible for the Governance and Constitutional compliance. What does your organisation do well? What are your capabilities? What are your ambitions? The Australasian Supply Chain Institute, at its core, is about education. For the past 50 years, ASCI has been delivering global certifications to Australian supply chain practitioners and it now is positioning as the accreditation body. Our ambition is educating people about the wider elements of supply chain management. When I talk about supply chain management I always think that supply chain is the conductor of the orchestra. It’s not as though supply chain is better than finance or better than sales or better than marketing. It’s the heart and the lungs of an organisation working together with these other functions within the business. One of my professors told me that supply chain management is about reduction of complexity and uncertainty and I take this statement to heart every single day. And secondly, another professor (I have had a few…) said that we live in an era where no longer companies compete, but the supply chains in which they operate, do. So the strength of the supply chain is determining how successful you are as an organisation across the connected enterprise. Now, I still think that we’ve got a long way to go, especially in Australia. We have been protected from what’s happening but very rapidly we have been and are becoming a part of a more globalised economy. Therefore the supply chain capability and capacity needs to improve, especially within Australian manufacturing companies. Exporting and importing products to and from overseas markets are impacted by longer lead times therefore the requirement for strong demand, supply and inventory planning and customer and supplier collaboration. Today, there’s an increased need for agile and flexible supply chains for personalised experiences for customers. This means that there is also an increased supply uncertainty and complexity resulting in a larger risk profile for supply chains. Both the physical and administrative automation and digitalisation requires more knowledge and understanding of supply chain principles by each of the supply chain operators from the warehouse worker, truck driver, demand planner, inventory planner all the way up to the CEO. I’m proud of the fact that given the current climate, we, at ASCI, have been able to identify an advocacy and mission that’s not being driven by any other association, despite the great diversity in supply chain and many levels of stakeholders compared to other industries. The highlight for me will be once ASCI’s application submission progress with the Professional Standards Authority is passed through legislation. This will bolster ASCI’s industry- first evidence-based practitioner registrations for supply chain and legimitise our role as an accreditation provider for our members and the industry as a whole. Only then will we commence to breed clever supply chain professionals in next generations, allowing for the Australian manufacturing industry to flourish. A supply chain has to be customer / demand driven, at the right and acceptable level of cost-to-serve. The 60s 70s 80s were the eras when products could be pushed to market but those times don’t exist anymore. However, I still see supply chains that are geared for that time – for example, supply chains that are not end to end coordinated nor integrated. That is wasteful, both from a resource perspective and from a material perspective. Australian manufacturers must be focused on the customer or they’re probably going to fail. We are in the era of the customer and consumer experience. And these customers expect a connected experience delivered from the middle and back office, i.e. supply chain and manufacturing. If we don’t, we’ll miss out. Business will be lost. Companies will no longer be recognised, i.e. Kodak is always used as an example. They missed the boat. Not there anymore. Companies that are really customer driven, demand driven like Zara, Cisco Systems. These organisations – they’re successful. They’re growing the business and will be at the forefront of supply chain. On a daily basis, I work with clients to turn their mindsets around and to assist them in leading their supply chain and manufacturing transformation. Are there any issues in Australian manufacturing that’s not getting enough attention at the moment? Why is it important? I think if you would ask all of your 5,000 Forum members “What is supply chain” you’d get a different definition or level of focus from each and every single one of them. Yes, Linfox and transportation is part of supply chain. And so are DHL and DB Schenker from a warehousing perspective. I think the good thing is that more and more people and organisations start to understand the interconnectivity of all elements that make a supply chain and that the weakest link across that supply chain determines its success. As said before, we are in the era of the customer and consumer. Providing them with the right experience at the right cost is what supply chains and manufacturing organisations are set up to do. Creating that connected enterprise were customer satisfaction is delivered seamlessly is the ultimate objective we are striving to achieve. I think that’s where ASCI can play a key role with its Supply Chain Management Body of Knowledge. The more we agree on the definition of the career and the role the better we are placed to build a manufacturing industry that’s sustainable. 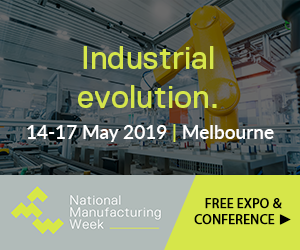 We’re so pleased to partner with the Australian Manufacturing Forum. We want the very best supply chain people to be passionate about manufacturing and production. To innovate, and find ways to grow sustainable manufacturing businesses. We’re hoping that in bringing our members across to the Forum, there can be some lively discussion and interaction to drive performance and collaboration. To stay up to date with the latest Australian manufacturing news subscribe to our newsletter here. PreviousPrevious post:Manufacturers brace for Tomlinson fallout.NextNext post:BlueScope reports strong sales, billion dollar profits.